Previously the U.S. flag insignia on the uniform was a privilege to only deploying troops. Now all soldiers can wear the U.S. flag insignia on the right shoulder of their uniform.Army Chief of Staff Gen. Peter Schoomaker approved the uniform item Feb. 11, but finding 30 million flags is another issue. The Army is giving deploying troops priority, others have until October 2005. Currently there are not enough flags in the inventory, which is why Soldiers have a substantial amount of time to get the flags sewn on, Morales said. Deploying troops have the priority. Everyone else will have to wait until the Defense Logistics Agency has more in stock, he said. An estimated 30 million flags need to be procured, he added. Eventually all enlisted soldiers will receive 5 flags without purchase. 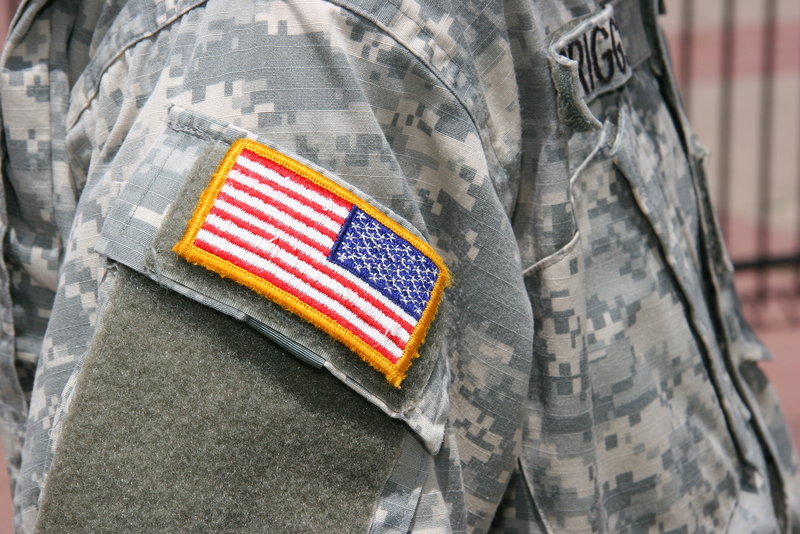 Soldiers may purchase the U.S. flag insignia on their own, they will not be reimbursed. I know the reverse looking flag on the the shoulder of our soldiers looks funny but it is correct. 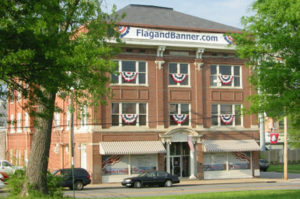 Because of the economies of scale and the lack of public knowledge the left side flag is usually printed in bulk and sold affordably. Most people prefer its look, even if it is slightly wrong.